Braces have become a standard expectation. Many families in Jenkintown, PA, will deal with expensive orthodontics bills for at least one child. Are there ways to avoid this? The answer isn’t quite that simple, unfortunately, but consulting your dentist in Jenkintown can make it a little easier. Your children may need some form of corrective treatment, but there are ways to considerably help their chances. 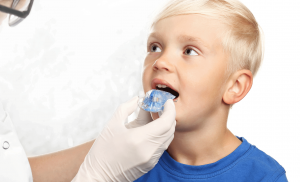 Basic care for your child’s teeth lessens the risk for multiple orthodontal issues. What is slightly less obvious is how this care can also decrease the need for braces. Decaying teeth are considerably weakened and can cause permanent teeth to shift in one direction or another. Any type of pressure on developing permanent teeth or gaps in teeth can also make chances higher. Make sure to stress the importance of taking care of teeth with your children. Regular visits to the dentist, especially as your child gets to that crucial time in the development of their teeth around seven years old, will help your dentist catch potential problems earlier on. Bad habits for dental health, such as teeth grinding and thumb sucking, are often a result of stress. Teeth grinding and jaw clenching are both natural reactions to anxiety. Thumb sucking is not a direct reaction necessarily but is often used for a sense of security to combat stress. Recognizing the stressors, and helping your child understand them, can greatly alleviate these problems. Simply providing support, both physically (such as a hug) and emotionally goes a long way in helping your child to cope better. Remember that sometimes braces will be inevitable, but if you can catch the problem early enough, there are sometimes alternatives. Clear aligners, retainers and even veneers could be potential problem solvers if used early enough. 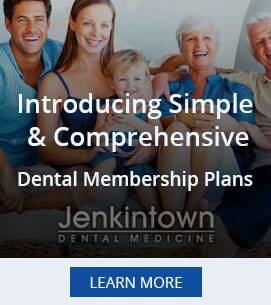 Be sure to consult your dentist in Jenkintown to figure out what solutions would be right for you and your child.